Market Research Transcription » Audio Transcription Services - High quality audio transcription services. It is possible to get high quality, affordable market research transcription done quickly and accurately. At AudioTranscription.Org, we’ve been transcribing market research reports for years. Let us put our knowledge and experience to work for your company or small business. Market research is an important and necessary weapon in the artillery of any small business or company. Without it, you have no idea what your prospective clients want, how they’re getting it, or what your competitors are doing to get prospective clients to buy from them instead of you. AudioTranscription.Org, a high quality audio transcription company based in San Francisco, California, has a deep understanding of the importance of market research reports and uses this understanding to prepare all of its market research transcription projects. We operate with a level of accuracy and speed at a price that can’t be matched by any other high quality transcription service in the industry. We’ll take the important information in your audio and video market research and turn it into precise transcripts for you to circulate to your employees and investors or to simply have on file for later use. So, whether your market research includes interviews, focus groups, conference calls, or any other kind of video or audio market research, our market research transcription experts will prepare an accurate transcript for you. We don’t believe in charging our clients for services, like speedy service, multiple voices, or hard to understand accents, if they don’t require them. Unlike our competitors, we don’t believe that our clients should have to pay for services that they never asked for or needed. 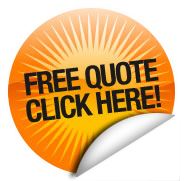 Our company will only charge you for the services that you order and deliver the product that you expected. We promise. And, if you have more than five hours of market research audio or video you’d like to have transcribed, we’ll give you a free transcript sample so you can try us before you decide to use our impeccable market research transcription service. All of our work is done by professional transcriptionists who speak English as a native language, and our transcripts are proofread by one of our professional proofreaders to be sure it’s as accurate and free of errors as it can be. We guarantee your proofread transcript will be +98% accurate, and that you’ll be exceptionally satisfied with it. If you’re not satisfied, we’ll redo your transcript for free. We’re ready and waiting to prove to you why AudioTranscription.Org should be your first choice for market research transcription. Get started today by telling us a little about your project. Submit our brief contact form to request more information or get started now by uploading your audio file.